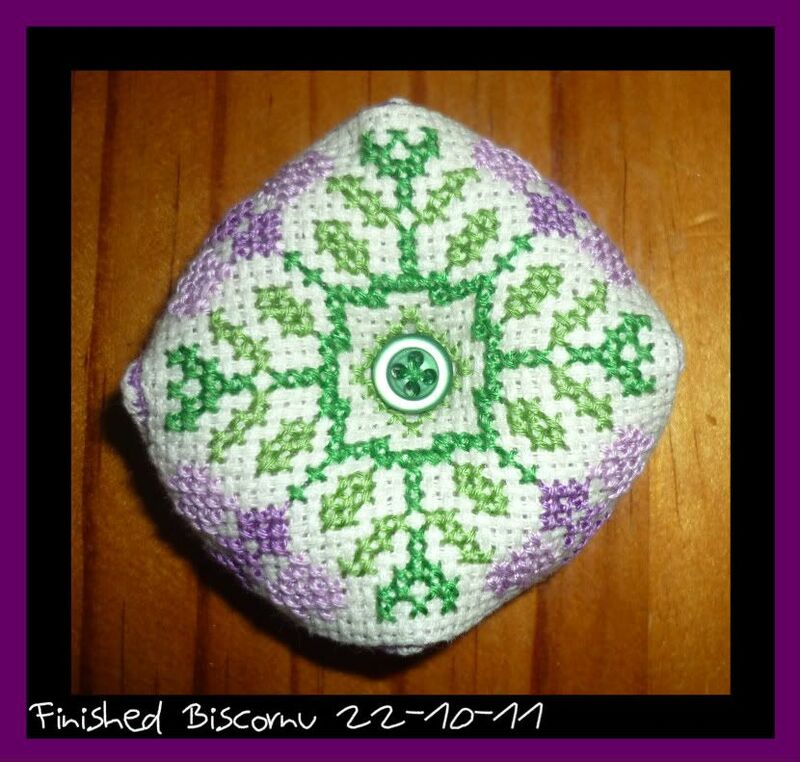 Naughts & Cross stitches: My Year in Stitches! This year I decided to work to goals and finish pieces. 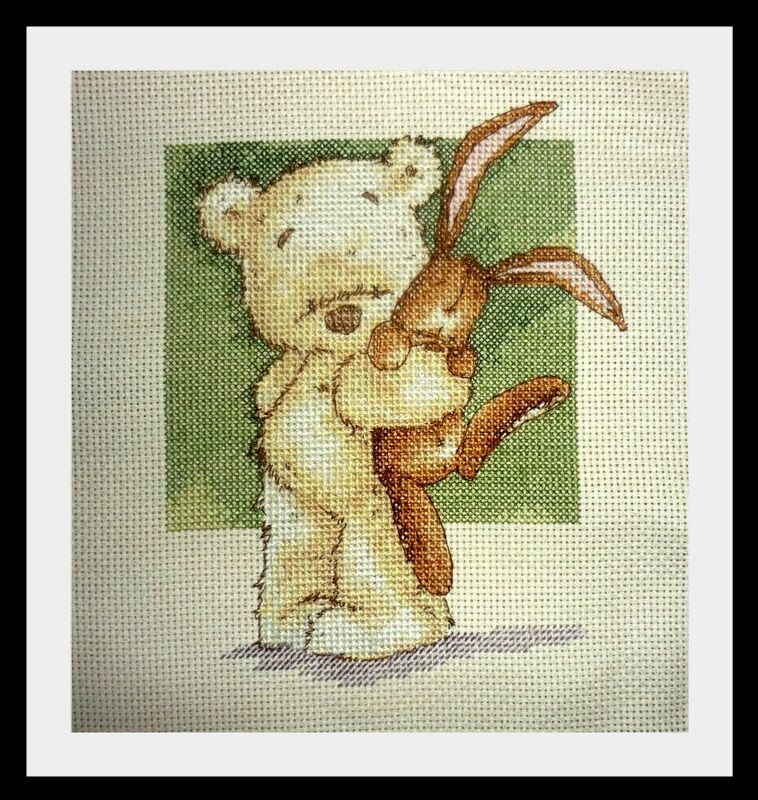 This piece won the Novice cross stitch section of the Ekka! 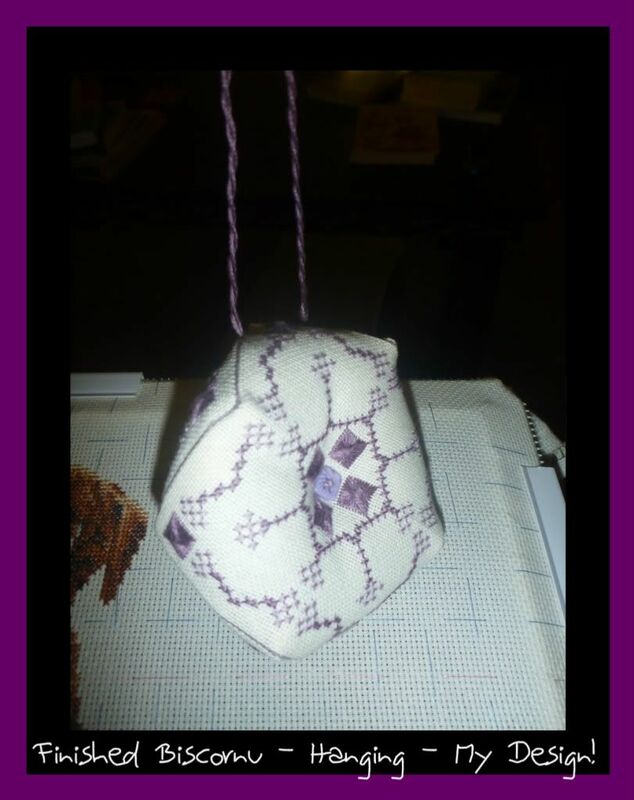 I've had so much fun stitching I enjoy sitting down at the end of the day and stitching to relax. But to twist it up I have tried my hand at designing my own work as well. This little guy still needs to be finished and one day I will actually get him up onto a computer program so I can share the design with all of you. I've also spent a LOT of money on new stash because really I haven't had any! I've bought all sorts of charts and interesting things including fun charts from overseas. It was interesting ordering from Jardin Prive because I had to order it in FRENCH! With a little fiddling I made my first BISCORNU! I am now hooked and have made and designed a couple more. When my cousin had a baby in October what did I do? 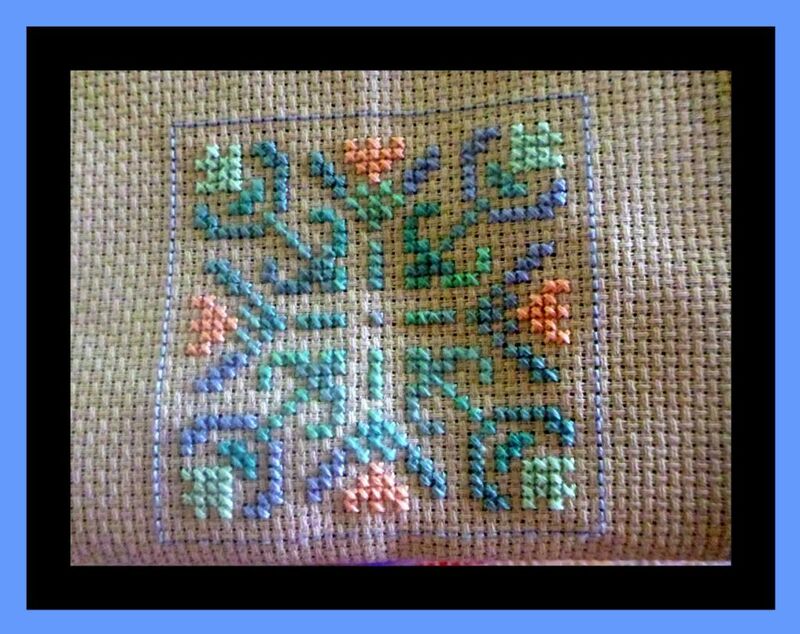 I made a sampler for the little tyke. Of course bad me STILL needs to frame it! 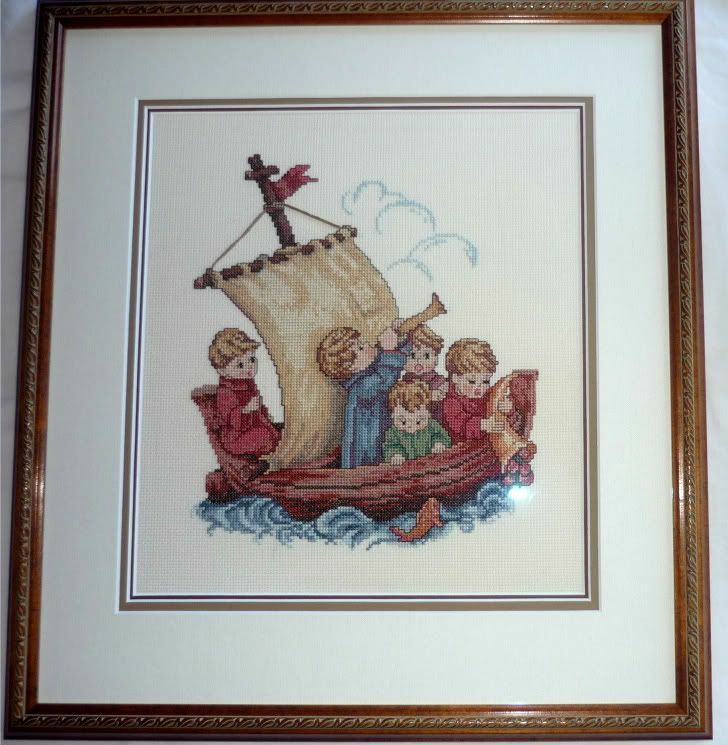 This one I did frame but silly me didn't take a photo of the framed stitch before giving it away! Hopefully I can get a photo down the road. That about brings us up to Christmas and the penguins! I have had such fun with these penguins from Rhona at Tangled Threads. I have made 14 of the little things to give as Christmas gifts this year. Here is just 6 of the penguins. 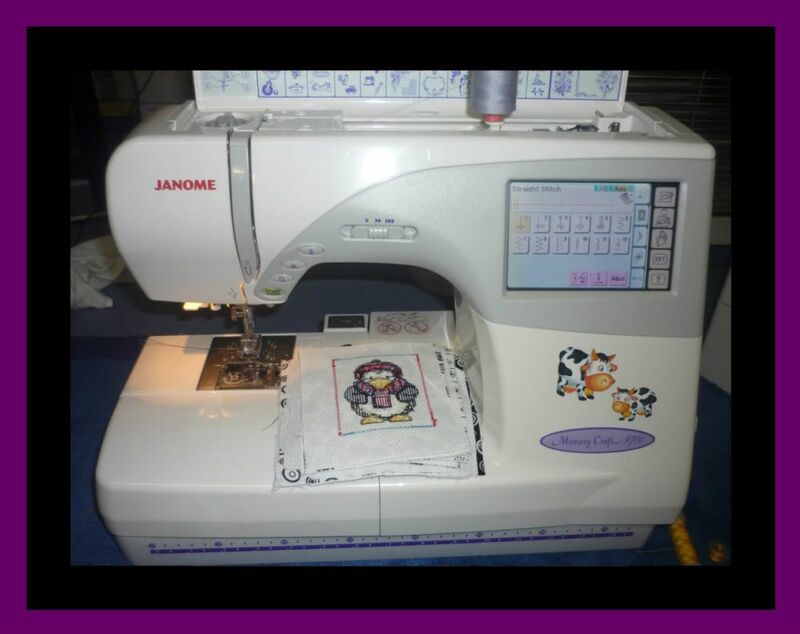 The great thing about these penguins, that made my mother really happy is, I actually got my sewing machine out again! Except I had to set it up on the floor! 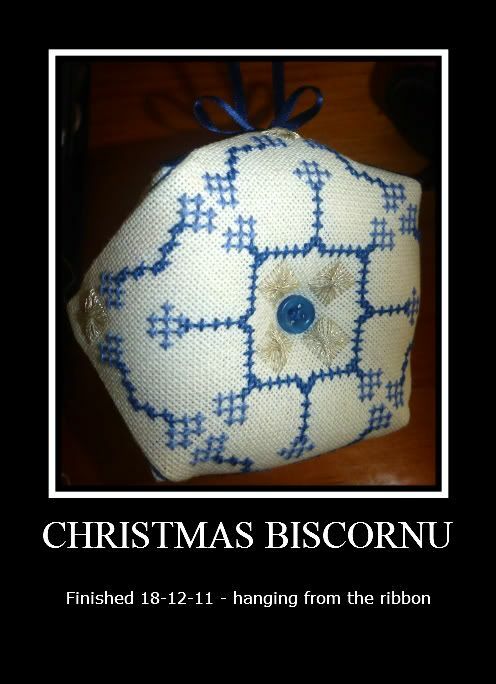 Also for Christmas I made some Biscornus. I had some fun designing them and using speciality stitches that I haven't used before. The metalics make this fizzle too. Though I did one for me without the metalics and I love it as much. 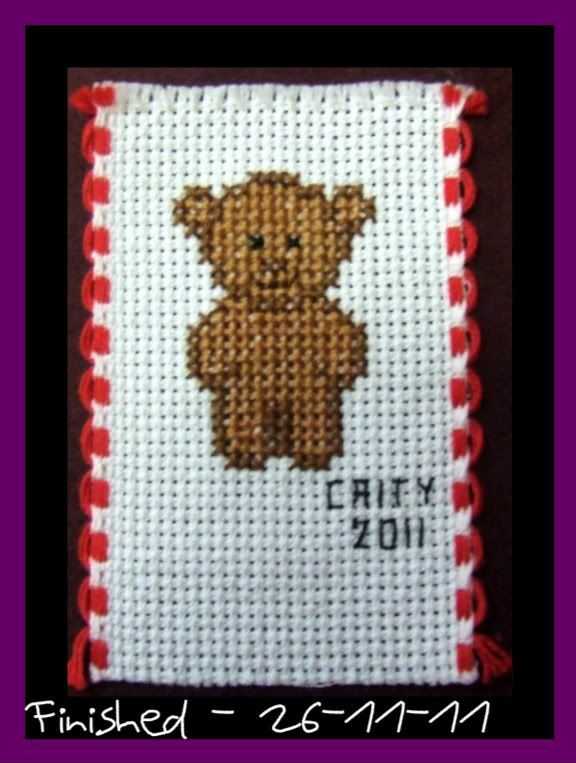 But I will be taking some stitching into the new year. 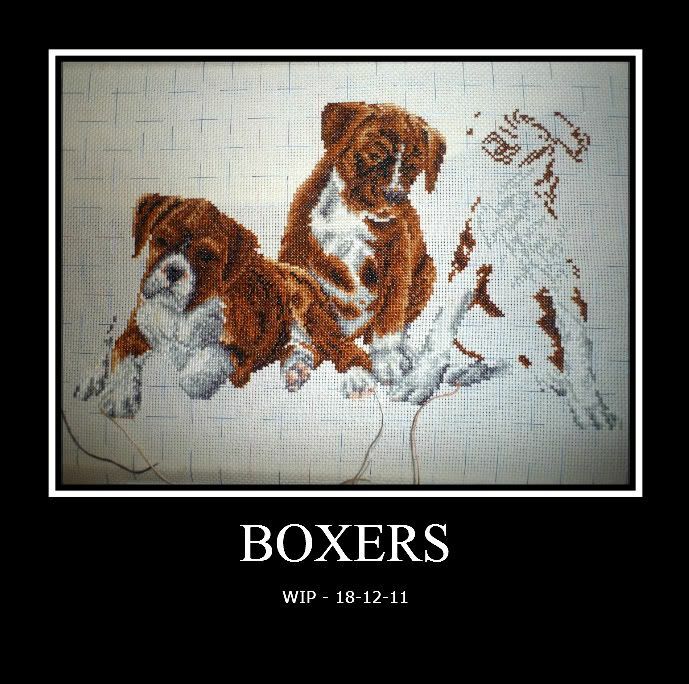 Boxers will still be on the go as there is no way I will finish it before the new year. Also I will be continuing with Carres Du Printemp as I'm making a set of biscornus out of this design. In stunning colours they just sing. I do have to wonder what will happen in the new year and what projects will come out from under my needle! All your stitching is lovely, you have done so much and so well in a short space of time. Well done. I look forward to seeing your projects progess in 2012. Wishing you and your loved ones including the boxers a very happy New Year, may it bring you gifts of joy, health and happiness and lots of stitching time for you. Wow! You sure have done loads girlie!!! I'm impressed with all your firsts and that you even designed!! Good on ya!! 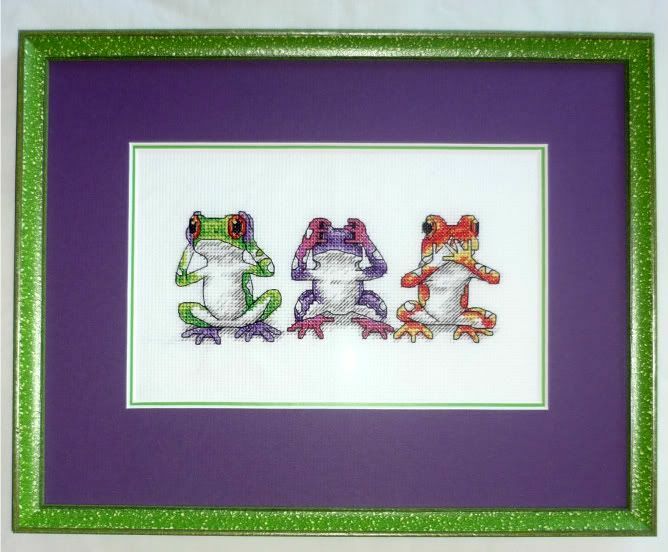 Love the frog trio!! Like you, I too made my first biscornu and loved making them!! I will have to make more in the future!! beautiful stitching projects..they all so beautiful..
Wow! You really got a lot done this year. How nice of you to make Penguin ornies for everyone. 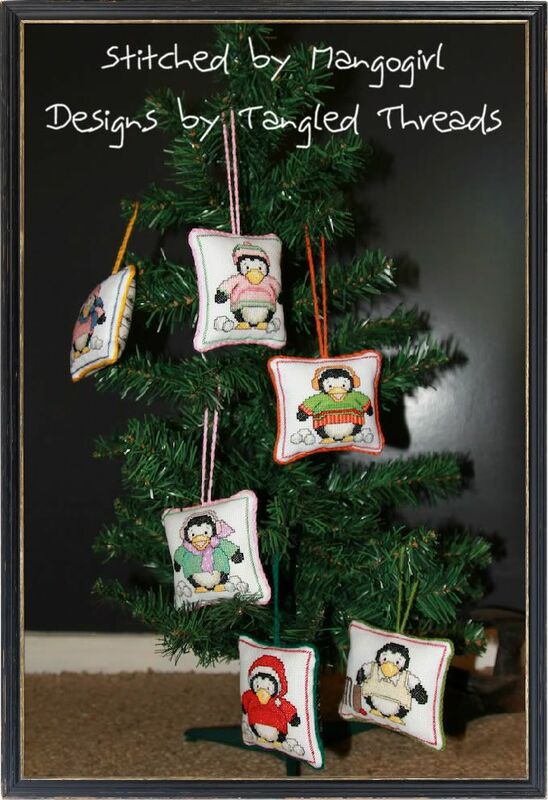 I have always wanted to have cross stitched ornaments and give some away too. Wow, amazing works! I would never say you're a novice, more like an expert! I love your own design too, it's so cute! 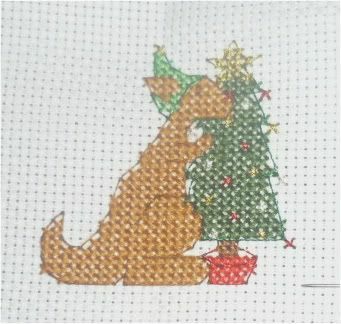 Wishing you the best in this new year, and lots of fun stitching! You've had some cute finishes this year.